GRASETT, HENRY JAMES, army and militia officer, and police chief; b. 18 June 1847 in Toronto, third son of Henry James Grasett* and Sarah Maria Stewart; m. 4 Oct. 1887 Alice Katharine Parke in Brompton (London), England; they had no children; d. 30 Sept. 1930 in Toronto. 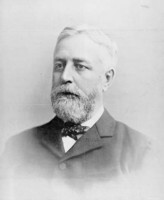 Henry J. Grasett was born into a prominent Toronto family – his father was rector of St James’ Cathedral. He attended a private school in Toronto and Leamington College in England. His military career began in Canada when he was not yet 19: in June 1866 he served in the Fenian campaign with the 2nd Battalion of Rifles (Queen’s Own Rifles of Toronto) [see Alfred Booker*]. After entering the British army in September 1867, as an ensign in the 100th Foot (Royal Canadians), he spent time in England and Canada; when he retired in 1875, with the rank of lieutenant, he had been adjutant of the regiment for five years. After returning to Toronto, Grasett became a partner in a firm of shipping and commission merchants. On 5 Nov. 1880 he was gazetted lieutenant-colonel and commander of the reorganized 10th Battalion of Infantry (later the Royal Grenadiers). 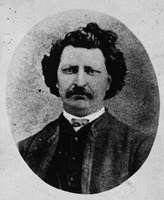 Following the outbreak of the North-West resistance in 1885 [see Louis Riel*], this militia battalion was mobilized and saw action at Fish Creek and Batoche (Sask. ), and against the Cree led by Big Bear [Mistahimaskwa*]. On the basis of his military accomplishments and family connections, Grasett succeeded Francis Collier Draper* as chief constable of the Toronto police on 1 Dec. 1886. Some politics may have been involved: the Board of Police Commissioners passed over deputy chief William E. Stuart, the political appointee of a former mayor. Grasett would head the force for 34 years, in contrast to the average tenure of less than four years in large American cities. Under Grasett the department grew – from 172 police to 662 by 1920; in composition, however, it remained heavily Anglo-Celtic. As a result of lobbying by moral reformers that focused on prostitution, a number of policewomen were added in 1913. One of Grasett’s first innovations was to arm the patrolmen, although, as an admirer of British policemen, he discouraged the use of firearms. As well, he supervised the reorganization of both the morality squad (under David Archibald*) and the detective department, the installation of a new electric call-box and signal system, and the acquisition of patrol wagons (1888), bicycles (1895), motorcycles for a traffic squad (1912), and motorized patrol wagons (1913). After 1917 mobility was increased by the greater use of automobiles, which themselves produced problems of traffic control. Such developments helped make Grasett’s department one of the most professional in Canada. It also became a powerful bureaucracy, charged not only with the preservation of law and order but also with regulatory functions such as licensing small businesses. In addition, it had to work with new agencies, among them the juvenile and women’s courts. Training remained traditional, however, with an emphasis on military drill and learning on the streets. For years constables walked timed beats, and the merit-based system of pay and promotion was modelled on the British army’s. An important figure in North American police circles, Grasett served in the 1890s on the board of the Central Bureau of Identification in Chicago. This board was appointed by the National Association of Chiefs of Police, which in 1901 became the International Association of Chiefs of Police; Grasett was its vice-president in 1902. In 1905 he was involved, with Dominion Police commissioner Arthur Percy Sherwood* and others, in the formation of Canada’s major police-lobby organization, the Chief Constables’ Association of Canada. As its president in 1906, he spoke of how the police had become respectable in the eyes of the public. Under Grasett the Toronto department remained a driving force behind the CCAC. In Toronto Grasett was a fairly popular and respected chief constable, despite criticisms before World War I. Moral reformers charged that prostitution was tolerated; Prohibitionists claimed that liquor laws were ignored or weakly prosecuted. To a large extent Grasett was shielded by the Board of Police Commissioners (the mayor, police magistrate, and county judge). When public debate called for direct municipal supervision, Grasett lobbied to preserve the autonomy of the police-commission system. Unlike his successors, he was careful to avoid inflammatory public statements, except during the war, when he spoke out vigorously against Toronto’s foreign element. Although crime actually declined between 1914 and 1918, Grasett was saddled with heavy responsibilities: war-time controls, monitoring aliens and radicals, enforcing the Ontario Temperance Act, and policing a large number of strikes. In the interest of patriotism and order, he banned outdoor anti-conscription meetings. When anti-foreigner riots broke out in August 1918, during a veterans’ convention, his police intervened reluctantly, and then with force, generating bad publicity and an investigation. The inquiry exonerated the department as a whole, but led to the dismissal of two inspectors, a sergeant, and a constable. Grasett’s greatest challenge, however, came from his own men, who were dissatisfied with wages, benefits, promotions, and disciplinary policies. In the fall of 1918 they organized a union in affiliation with the local Trades and Labor Council. The police strike that followed in December, combined with unrest among police in other Ontario centres, led to a provincial commission in 1919 headed by Sir William Ralph Meredith. During its hearings Grasett expressed disapproval of promotion by seniority, one of the bases of trade unionism. In late 1920 he retired as chief constable and was replaced by an officer who had risen from the ranks, Samuel James Dickson. Grasett epitomized the patrician police leader of the era. He had much in common with long-time police magistrate and commissioner George Taylor Denison, a fellow veteran of the Fenian campaign. Grasett had played an important role in the royal tour of 1901 and for his contributions to the war effort he was made a cmg in 1916. A Conservative in politics, he was an Anglican in religion and served for a number of years as a warden of St James’ Cathedral and as a delegate to synods. He was socially active in several Toronto clubs, and belonged to the Canadian Military Institute and the Naval and Military Club of England. AO, RG 22-305, nos.56821, 65543. Globe, 30 Sept.–2 Oct. 1930. Toronto Daily Star, 6–7 Sept. 1905. World (Toronto), 19 Oct. 1887. Canadian annual rev., 1916: 802; 1918: 334–35, 586–87. Canadian men and women of the time (Morgan; 1898 and 1912). Canadian Municipal Journal, and Telephone and Building News (Montreal), 2 (1906): 387–88. Canadian Police Bull. (Toronto), December 1930. E. M. Chadwick, Ontarian families: genealogies of United-Empire-Loyalist and other pioneer families of Upper Canada (2v., Toronto, 1894–98; repr., 2v. in 1, Lambertville, N.J., ), 2. T. E. Champion, History of the 10th Royals and of the Royal Grenadiers, from the formation of the regiment until 1896 (Toronto, 1896). Chief Constables’ Assoc. of Canada, Proc. of the annual convention (Toronto), 1912–31. International Assoc. of Chiefs of Police, Annual session (Washington), 1902. Greg Marquis, “The early twentieth-century Toronto police institution” (phd thesis, Queen’s Univ., Kingston, Ont., 1987); Policing Canada’s century: a history of the Canadian Association of Chiefs of Police (Toronto, 1993). Middleton, Municipality of Toronto, vol.1: 178–80. Desmond Morton, Mayor Howland: the citizens’ candidate (Toronto, 1973). National encyclopedia of Canadian biography, ed. J. E. Middleton and W. S. Downs (2v., Toronto, 1935–37), 1: 178–80. R. E. Riendeau, “Servicing the modern city, 1900–30,” in Forging a consensus: historical essays on Toronto, ed. V. L. Russell (Toronto, 1984), 157–80. Toronto, Chief constable, Annual report, 1886–1920. Greg Marquis, “GRASETT, HENRY JAMES,” in Dictionary of Canadian Biography, vol. 15, University of Toronto/Université Laval, 2003–, accessed April 22, 2019, http://www.biographi.ca/en/bio/grasett_henry_james_1847_1930_15E.html.